At some time or the other, in order to complete certain task, most of us feel the need of some software that has one particular function. It could be that we want to give a video presentation, or we want to add subtitles to something, or we want to generate some good memes. No doubt, all these facilities are available on the Internet. You might find software or websites that serve that single purpose that you are looking for. However, it is never as easy as it looks. Depending upon the market share, there are mostly two types of software available in the market. First type of software are the ones meant for professionals. They have hundreds of functions that’d take at least a week for any amateur to know. 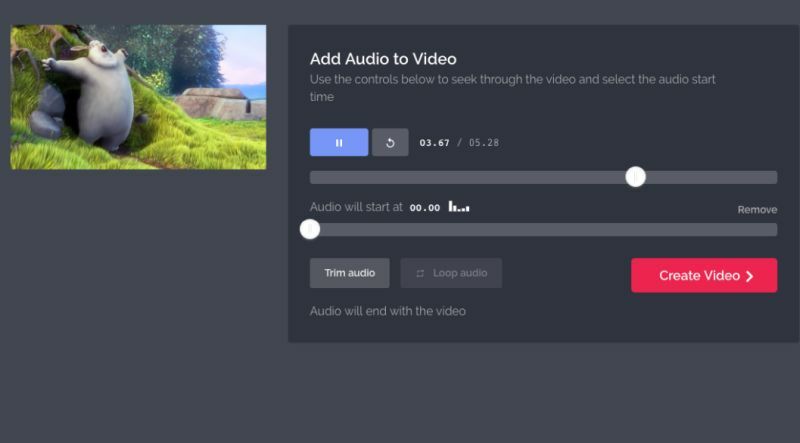 For example: being an amateur, if you want to add subtitle to video using software like Subtitle Edit, there’s no way to do it without going through hours of tutorial. This would cost you too much of time. Most probably, even after learning it, you would never utilize it in future. This leads most of us to the second type of software. These are the simple ones that are meant for the amateurs. For the most part, they work fine. However, these software, for the most part, serve only single purpose. Buying too many of these adds unnecessary clutter to your computer. Moreover, each time you need some other function, you have to look for something else, which leads to more clutter. The worst situation comes when you have so many software on your computer that you don’t even know which does what. If you are not a pro, but you do feel the need to use software for petty tasks from time to time, then we would suggest you to take membership of Kapwing. Depending upon the particular function you require, you can find the corresponding product. Moreover, Kapwing Products is completely online. So, you won’t have to worry about tackling dozens of software on your computer. The only disadvantage with Kapwing Products is that it is not ideal for the absolute professionals. 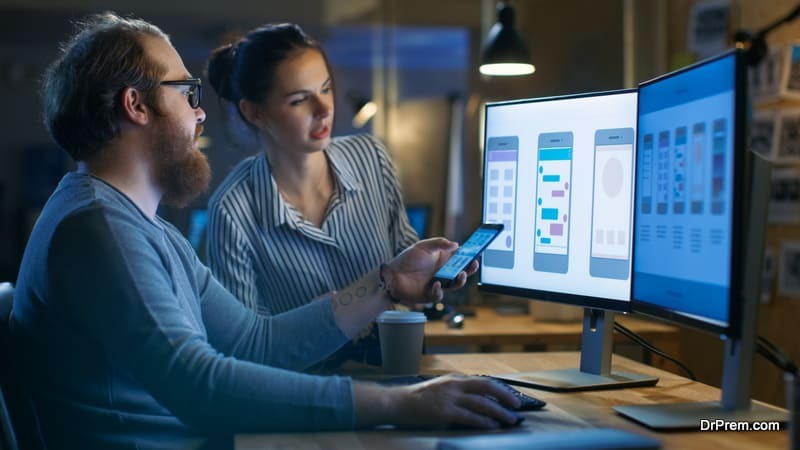 Even professionals would find most of the functions they need, but they would have to utilize separate options for the same. So, what all do you find on Kapwing Products? As of now, 28 products are listed on Kapwing’s product’s page. In most of the cases, each product serves a single purpose. For your reference, we have tabulated all of them with their particular functions. It is the flagship product of the company. It involves the functions of many other Kapwing products. 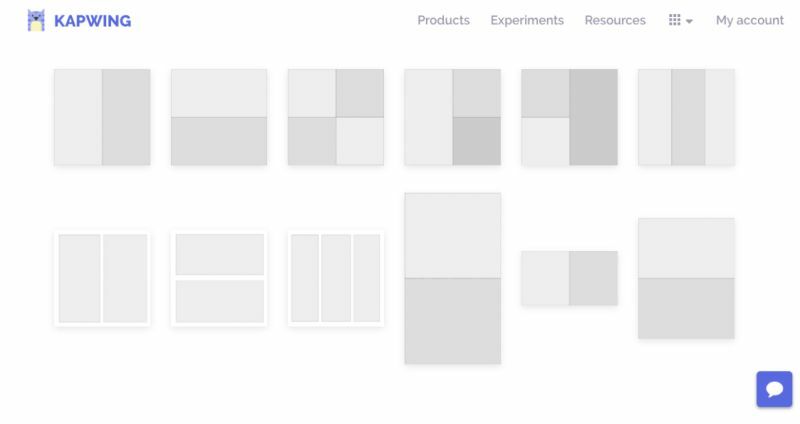 If you don’t want the product for just a single purpose, just use this software, and overlook everything else on the site. It does pretty much everything. No matter, whether you are making videos or generating memes, or whether you are adding texts or audio to your file. You can do everything on studio. Videos are in. If you are social media influencer, you can’t afford to lose this opportunity. With the help of Video Maker you can easily create video using videos, GIF files and images. It involves as little technicalities as you want. You can add or remove content using simple drag and drop options. If you want to use some video that is available online, you don’t have to download it and then upload it. You can simply put the link. This makes the work much easier. 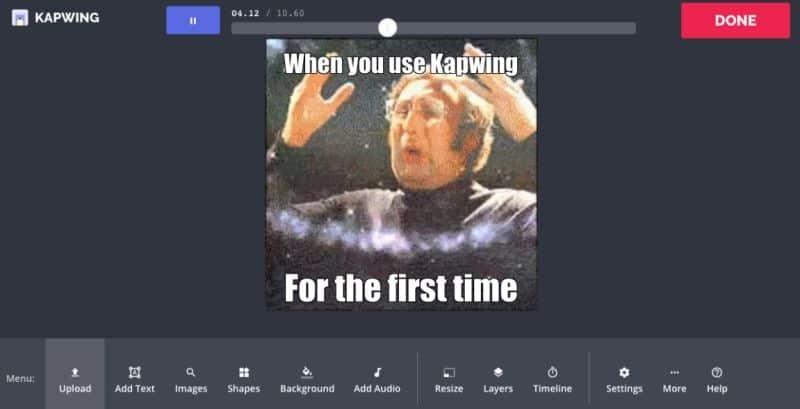 The Kapwing meme generator gives you exciting templates for your memes. You just have to add the suitable image. 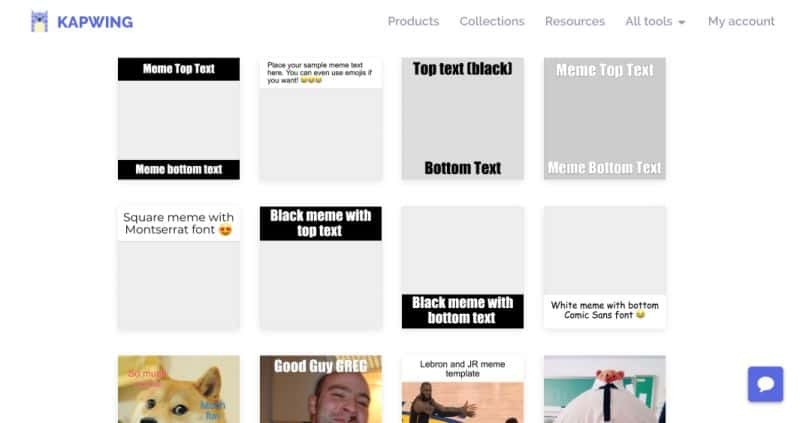 If you generate memes frequently, it would be best if you bookmark this product. It is as easy as a meme generator can be. Though we would not suggest you to use this software to add subs to an hour long video, however, if you want to add them to a short presentation, it is best. Apart from subtitles, you can also add interesting captions. This option, just most of the other options listed below, are already there in the above mentioned products. However, if you want to simply add audio to the video, why bother using the studio or the video maker? You can just use this particular product. Moreover, just like the above mentioned products, here too you need not upload a video. You can simply post the link of some video that is available online. Before posting some video on social media, we advise you to try Resize Video first. It gives you customized resizing options that lets you resize the video just the way you want. 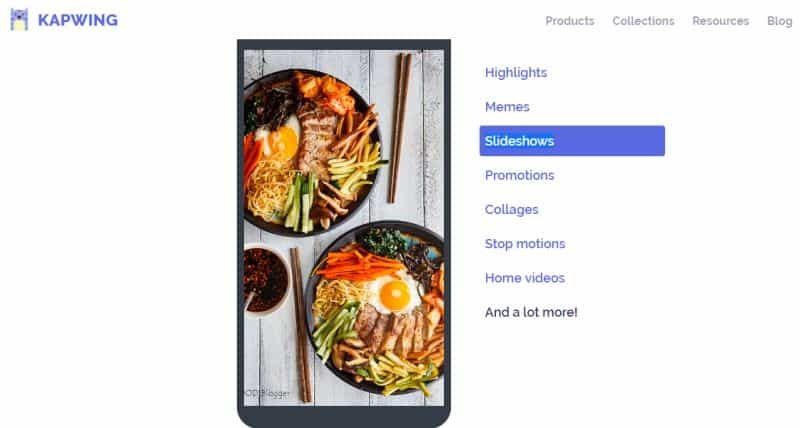 Here you can find options even to specifically customize your video according to your favourite social media platform. If you want put your Facebook cover with a collage of pictures with your friends, this is the product you should use. It is extremely easy. The drag and drop option would help you finish the task in no time. This isn’t all. As we have already mentioned, Kapwing has more than 28 products. But, for the most part, these are only the individual functions of the products that we have already mentioned. The product is absolutely free of cost. Once you generate your content, it would just have a tiny Kapwing watermark in the corner, that’s all. It is nothing when compared to the huge screen-covering watermarks that come with many of the popular software in the category. In case, if you want to use the software for any professional purposes, and can’t take the risk of leaving the watermark, you can buy Kapwing subscription. It would cost you around $20 for a month and $200 for an entire year. 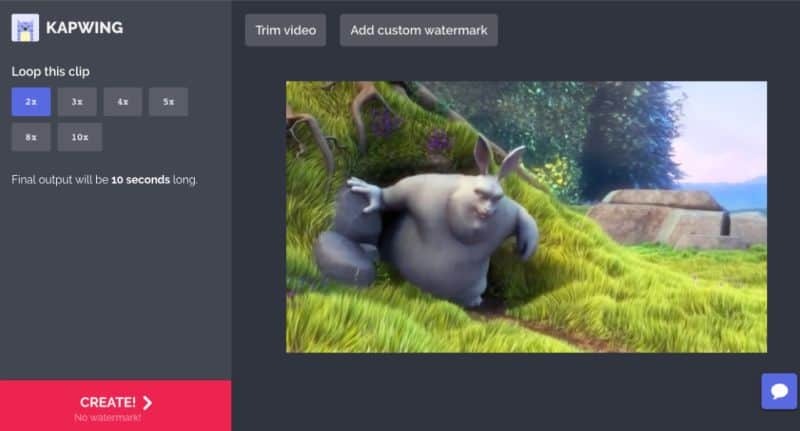 If you just want to remove the watermark on single content, you can do so by paying $6. This is just for the professionals. For those using Kapwing for non serious purpose, this tiny watermark shouldn’t be a bother.